Martin Luther King was assassinated exactly one year after condemning U.S. imperialist wars, covert violence and capitalism in a New York sermon that made bold headlines in newspapers around the world. It is widely taken for granite that King’s condemnation of imperialist war madness and the capitalist genocidal insanity of putting profit above humanity cost him his life and cost America the loss of his much ‘too effective’ leadership. The huge investments in the Vietnam War were threatened by the second March on Washington King was planning to connect poverty at home with the huge expenditures on the war in Vietnam – for which King held all Americans, including himself responsible. Click on the link and read and/or listen to King’s sermon that made headlines in bold print on newspapers around the world fifty-five years ago, and notice it is NOT addressed to the government but to all Americans. The above quote is from Martin Luther King’s sermon BEYOND VIETNAM – A TIME TO BREAK SILENCE, given in New York exactly one year to the day before King received a bullet to his brain. Martin Luther King’s powerful sermon, notwithstanding, peace organizations, anti-war groups, progressive journalists, socialist historians, and people marching in protest tend to point a finger away from themselves and at their own elected and re-elected government and government officials, as if to convey the idea of their innocence of the genocide being committed in someone else’s beloved country – in their name, in the name of all Americans. Nowhere in the sermon does Martin Luther King say what the government should do, but instead, what Americans, should do, and what Americans should stop doing. We rarely hear even a peep from Clergy regarding US invasions and ongoing bombings in eight countries. Is this for its observing the doctrine of ‘Separation of Church and State’ or because the Church has become BOUND to the State and SEPARATED from its faith? It would seem that given King’s example, mainstream clergy in America has a clear choice. Continue to be silent, copying the shameful role of the Church during the Vietnam War almost to the end, or quote the documented words of a martyred giant the establishment has felt forced to honor with national holiday, the only American so honored. King was made a saint of civil rights to make people forget the Rev. Dr. Martin Luther King, who condemned American invasions and bombing and was murdered by his government. He was promoted up high to get his inspiring and bold image off the streets. No church is going to lose its tax status for quoting a fellow Reverend Doctor with unassailable national recognition no less! MLK is an icon. King has stature. His words bite true! Only to put King’s words in Sunday sermons now in the nation’s and the world’s hour of need. “For the sake of the hundreds of thousands trembling under our violence, I cannot be silent.”— King followed these words with a horrific description of U.S. crimes against humanity. Click on, and read it and then quote it around. This is also the advice of former US Attorney General Ramsey Clark, who King had given a copy of his powerful sermon to. Martin Luther King was shot to death on April 4th, in 1968, in Memphis Tennessee. THE JURY: “Yes!” (In unison). This verdict followed a three-week trial of a wrongful death lawsuit which the King family filed – not for money, but for one dollar. Regarding the Official Unveiling Ceremony of the Martin Luther King Jr. Memorial in Washington DC in 2011. How did knowledgable peace activists, aware of the more than half century corporate media blackout of Martin Luther King’s condemnation of U.S. Wars, react to the usual post-assassination praise of King as a great civil rights leader at the his monument’s unveiling that day? How did the vibrant with emotion eulogies of King’s daughter, sister, son, and two men who held the dying King in their arms (and went on to successful political careers within the pro war establishment ), sound, when all mention of King’s condemnation of U.S. wars and the “unjust predatory investments they are meant to maintain” was calculatedly omitted. 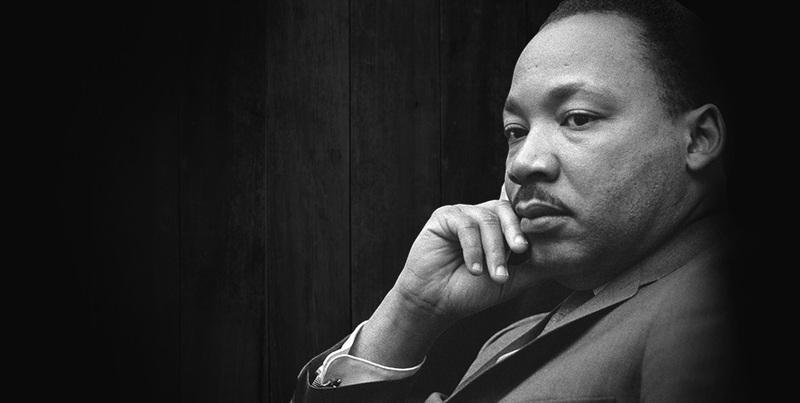 “Silence is betrayal!” cried out King, at Riverside Church in 1967. But at the unveiling of his monument in 2011, even King’s own family and friends were silent about the continuing U.S, wars in six small countries and CIA covert activity in dozens of others, that their King would have condemned as he did the war in Vietnam. In Washington DC at the King monument ceremony, speeches of corporate monument-funding CEOs put the final obscurantist touch. Wealthy white elite emoting over how affected they were by King’s words about the equality of men, pretending to be deaf to King having denouncing the immoral business materialism and violence along with its twin, racism. Doesn’t it seem like America has been listening to betrayal since King was himself ‘silenced’ over fifty years ago. Betrayal in the form of unctuous praise for all King’s words except those words that surely cost him his life while trying to save the lives being taken in Vietnam. For over five decades, the New York Times, Washington Post, the television and radio networks have overflown with admiration, tribute and singing Rev. Dr. King’s praise, but, those of us old enough, remember that after King’s Beyond Vietnam – a Time to Break Silence sermon and up until his murder, this same war investor-owned mainstream media, with the New York Times leading, vilified King as a a traitor, unpatriotic, allowing himself to be a tool of Hanoi. The Times and the rest of the monolithic news and entertainment conglomerates controlling 99% of all prints and electronic media praising King is insidiously done. Upon the wish of peoples historian Howard Zinn, author of ‘A Peoples History of the United States,’ former US Attorney General Ramsey Clark co-founded the King Condemned US Wars International Awareness Campaign: (King Condemned US Wars), which though endorsed by almost every well published anti-imperialist writer and recommended by Archbishop Tutu of South Africa, has not seem to have encouraged quoting from King’s ‘Beyond Vietnam a Time to Break Silence,’ which if done consistently enough would discredit criminal mainstream media for blacking out King’s explosive sermon from any and all mention.